Luigi Cazzavillan is a small beautiful park, Italian style, in downtown Bucharest, situated at the crossroad of Luigi Cazzavillan St., Temişana St. and Transilvania St., in an area fronted by beautiful villas from the beginning of the century. The park features geometric alleys and in its centre a fountain made in 1905 by the sculptor Filip Marin. 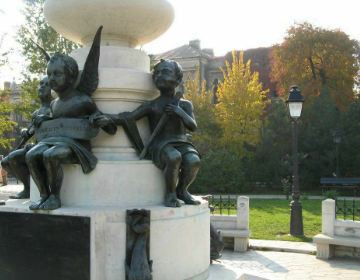 Locals in Bucharest have reviewd Luigi Cazzavillan Park - Parks in Bucharest. You can find here description, reviews, address, map, phone, website of Luigi Cazzavillan Park in Bucharest. Visit Bucharest Tips for more Parks in Bucharest!